Hi Kids! Welcome to my exciting new super-deluxe updated web page! This page is owned and operated by Melanie Schall of Pittsburgh, PA.
You can follow all of my exciting activities on these pages. See amazing pictures of my dysfunctional family! Be amazed by my mundane life! Travel to to links beyond your imagination! 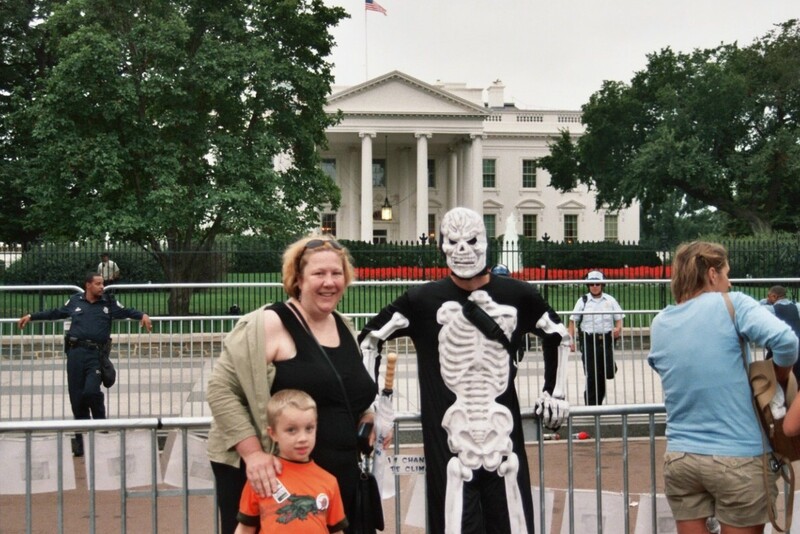 Here is a pic of Palexander (my little nephew) and I at the White House with Death. We got our picture taken there when we went to the big Peace March in Washington DC, back in September 2005. If you wanna see more pictures from from the March, find a link below. You can also go to Palexanders page, and check on his exciting life!